She is coordinator and mentor at the “Csepp” Afterschool in Csobánka since September 2013. She is a founding member of the Csodaműhely Association, which was founded in 2015 with the aim to support the afterschool. Earlier she was volunteering at the Igazgyöngy Foundation, organizing camps for disadvantaged, Roma kids. She has attained a masters degree in Economic Sociology at the Corvinus University of Budapest. During her studies, she was research assistant at the RECENS Research Center for Educational and Network Studies, where she was focusing on the topic of school integration of Roma students. 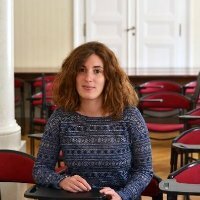 In 2016, she finished her second master’s in Minority Policy at the Central European University.